Welcome to Adulting 101! This section will include Tips and Tricks to be successful in college. From Taxes to Socializing this section will be updated monthly. It centers you.You and your roommate will live in harmony. There’s something about having control with one aspect of your life that calms the soul. It also feels so nice to look around and feel like you’ve conquered something today. I know it’s a given, but you’re in college to learn. If your professor gives you the opportunity to revise a paper actually use it. If you’re struggling go to the Writing Center and the Quest Center they are both fabulous and FREE resources that will help get you on track. Please read the textbook it’s the foundation of most classes. Without it, the lectures won’t truly solidify. Planners are great of keeping track of homework, projects, and tests. It’s okay not to know what you’re majoring in. You have time to explore your options. Always take time for yourself. Whether it’s 5 minutes doodling or taking an hour nap, take the time to listen to your body, practice self care, and to recharge your sanity. Friend groups are hard to obtain sometimes. It may seem like everyone has found their group or squad, but don’t worry if you feel like you haven’t found that. I remember my first year that it felt like I missed that day and that everyone became besties and had blood oaths and all that jazz. It’s okay not to have a set group. Eventually you will find your tribe. Try not to be like me and spend yours in less than two months. They won’t replenish until February. If you’re good at saving them, don’t stress about spending all of them. They won’t expire until you graduate. Be involved, but try not to follow my example and be involved with everything. Focus on a few, so you can give it your all. I recommend keeping a calendar to keep track of upcoming events and club meetings.There are so many great things to do on campus, but I promise you won’t remember everything. They miss you and sometimes in the midst of all the beautiful chaos that is college, hearing a loved one’s voice can be a magical thing. 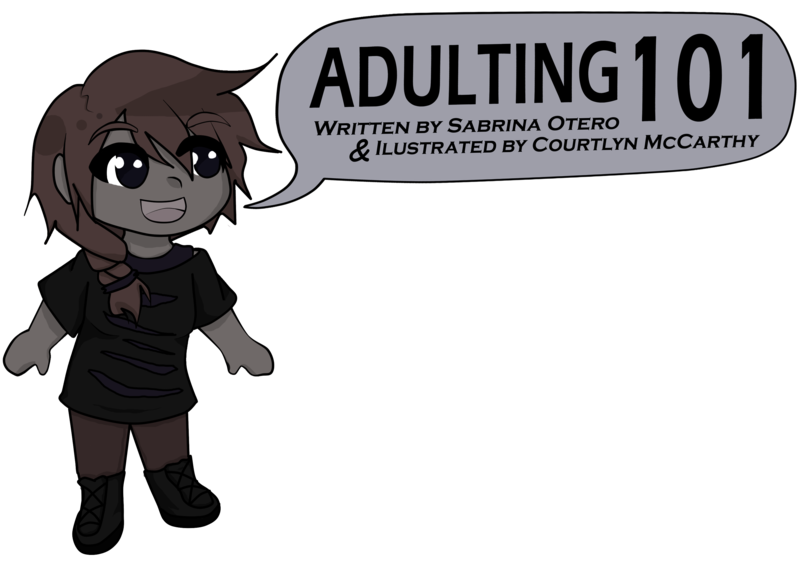 Have any questions about adulting? Email me at Sabrina.Otero@salem.edu and I’ll answer them next time! Comic Strip: It’s Fall Fest, Ya’ll!